The T.A. Dugger Jr High School has a wonderful band program that takes beginner and novice musicians and prepares them for the challenges associated with being part of a State Championship High School Band. The TAD program has two parts and is available to 6th through 8th graders. The first step of the program is a beginner band which introduces the students to musical notation and matches them with the instrument that best fits their interests and embrasure . In the first year, the students go from being introduced to music to performing a full band concert in the spring. The transformation is remarkable. The second phase of the TAD program introduces the students to marching techniques, music theory, sight reading, and much more. The Jr High band is under the direction of Chris Lockhart. Mr. Lockhart came to T.A. Dugger during the 2000-2001 school year. He has a bachelor’s degree in music education from East Tennessee State University. He is an active member of the East Tennessee School Band and Orchestra Association, Tennessee Music Educators Association , Music Educators National Conference, and the National Band Association. Before coming to Elizabethton, Mr. Lockhart taught band for 14 years in Southwest Virginia. He has worked as a clinician and adjudicator in Virginia, Kentucky, and Tennessee. Mr. Lockhart is a very gifted teacher who gives the young musicians individual attention and is well respected by the students. Lockhart also receives assistance from High School director Perry Elliott. In turn, Mr. Lockhart is very involved with the activities associated with the High School Band activities. 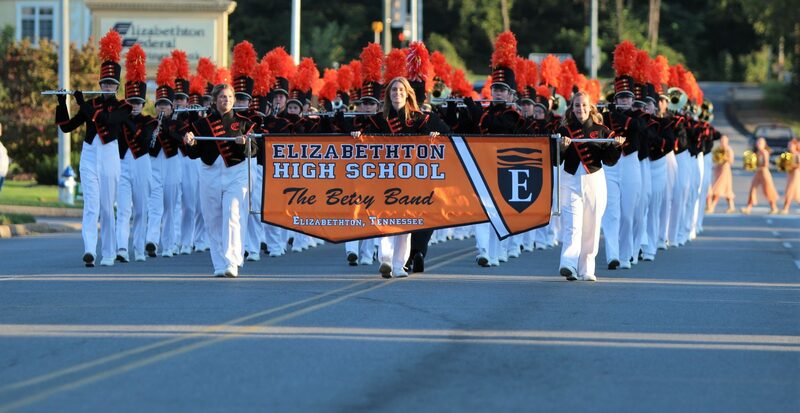 The Elizabethton band program is recognized as on of the best in the state.